Smoking is bad for people’s health. There’s no argument to be made, and thus when antismoking groups advocate to limit advertising by tobacco companies, that must be ethical. But in underdeveloped nations such as Indonesia, taxes on tobacco sales also make up substantial amounts of government revenue, and small tobacco farmers rely on the crops for their livelihood. When antismoking groups from other nations attempt to spread regulations that they have developed to apply to smokers in developed nations, are they ensuring the health of local populations, or are they engaging in a sort of modern colonialism that ultimately might cause harm? These complicated questions remain incredibly difficult to answer, and they are prominent in Indonesia today. That nation has been the focus of tobacco companies, which see Asia as a massive growth market. Second only to China in Asia in its tobacco consumption, Indonesia features the highest rate of smokers (67 percent) among adult men. Tobacco companies accordingly have devoted massive resources to advertising in that country, including a recent initiative in which Philip Morris painted hundreds of houses along a local river in bright colors, in support of a “Show Your Colors” marketing campaign. The high and growing rates of smokers have attracted the attention of more than just tobacco companies though. The Bloomberg Initiative to Reduce Tobacco Use designated Indonesia as one of its main priorities, sending approximately $10 million in the past decade to support local antismoking groups. Through its efforts, nearly 200 cities in Indonesia have passed antismoking regulations. 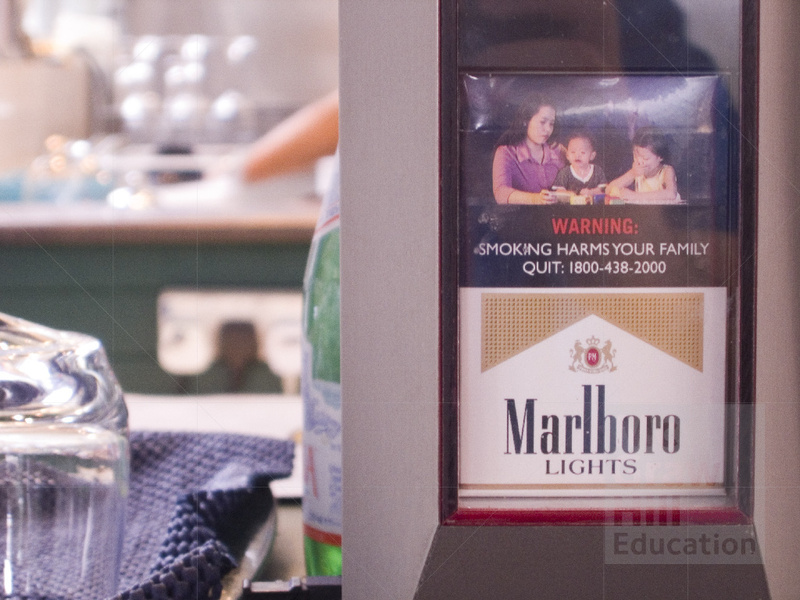 Indonesia’s national government also began mandating warning labels on cigarette packaging in 2014. In response to these efforts, some politicians and smokers’ rights groups decry the influence of a “foreign oligarch”—referring to the founder of the Bloomberg Initiative, Michael Bloomberg. They also continue to seek and receive badly needed investment funding for government and infrastructure projects from tobacco companies. For example, Philip Morris committed to spending $1.9 billion to build more facilities in Indonesia, which also would mean many more jobs for local people. The dilemma even spreads to religious leaders. Indonesia is predominantly a Muslim nation, and two main religious organizations issue edicts for their followers. The second-largest organization, Muhammadiyah, decreed that tobacco use was not allowed and forbade smoking in any of its schools, hospitals, and mosques. The largest group, Nahdlatul Ulama, rejected that approach and argued that forbidding smoking would do extreme harm to its members, including the small farmers who need their tobacco crops to survive. In what might come as no real surprise, each group accuses the other of ulterior motives. Muhammadiyah has received hundreds of thousands of dollars in grant money from the Bloomberg Initiative. Nahdlatul Ulama obtains funding from tobacco companies. How would you apply the framework for ethical decision making to these issues? Based on the outcome of the framework, what would you recommend as the appropriate next steps for the various parties involved? Source: Jon Emont, “Antismoking Coalition Gives Big Tobacco a Fight in Indonesia,” The New York Times, April 30, 2016.